Aggregated undernutrition, including fetal growth restriction, stunting, wasting, deficiencies of vitamin A and zinc, and sub-optimal breastfeeding is estimated to be the cause of 3.1 million child deaths annually, and of 45% of all child deaths in 2011. Given the focal role of the placenta in supply of fetal nutrients, a detailed understanding of how (i) maternal nutrition regulates placental function and (ii) placental regulation of nutrient supply influences fetal growth and FGR will be an important element of this initiative. 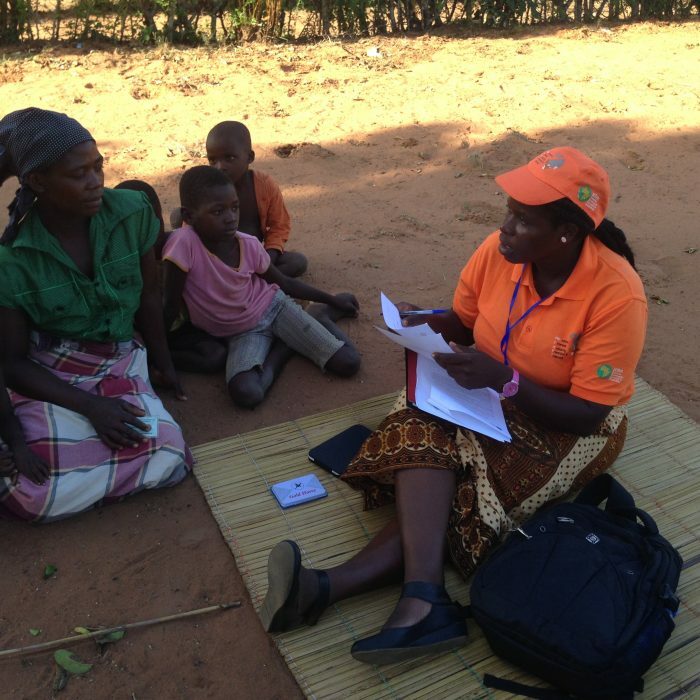 Maternal diet: Given the challenges of accurately capturing dietary/nutrient intakes within and between populations, for the current study we will develop population-relevant questionnaires to assess dietary diversity and food insecurity among participating women. These measures will provide a qualitative measure of food consumption, reflecting household access to a variety of foods, and providing a proxy for nutrient adequacy of the diet of the individual women. Nutritional biomarkers: Nutritional status will be assessed directly though the measurement of nutritional biomarkers, on the same random 20% of PHC samples, and all time-of-disease samples. Biological samples (plasma and urine) will be used to measure micronutrient status, including iron, folate, iodine, and vitamins A, D and B12. Where possible, we will use multiplex approaches, limiting sample volume requirements and costs. Given the seasonality of pre-eclampsia (it is unclear whether or not FGR and stillbirth are similarly seasonal), it is important to examine the interaction between season, day-to-day fluctuations in geographical variants, seasonal dietary variation, infectious agents (viruses, bacteria and parasites) and placental disorders. For example, there is conflicting evidence related to the possible contribution of malaria infestation of the maternal vascular (intervillous) space of the placenta and all three placental disorders of interest – if so, such an effect may only be operative in first ongoing pregnancies. However, HIV infection may protect against pre-eclampsia. Our team has considerable breadth and depth in infectious diseases expertise. This is relevant to viral, bacterial and parasitic infectious disease in pregnant and non-pregnant women and infants. We have established interests in the development of new diagnostic technologies for diseases such as malaria and tuberculosis, which will not only confirm disease, but also guide the choice of effective treatment regimens. We will examine women, and their biological samples, for evidence of infectious disease and map the complex interactions between time, place, nutrition and infectious agents to clarify these interactions in a definitive and novel manner. We will rely considerably on extant in-country expertise to lead these aspects of the research, with critical linkage through, and collaboration with, PRECISE. Many sub-Saharan African women live pre-existing medical conditions, some of which are heritable (e.g., sickle cell disease) and others of which are acquired (e.g., rheumatic heart disease). These maternal medical conditions will confound the relationship between pregnancy and health. It is for that reason that women with these conditions will not be excluded from PRECISE. In addition, women who have had a pregnancy complicated by either any one, or a combination, of the placental disorders, identify themselves to be at increased risk for premature cardiovascular disease (hypertension, myocardial infarction and stroke) and cardiovascular death. In addition, the placental disorders identify women at increased risk for type II diabetes mellitus. Our plan is to use biomarker-based research to identify the burden of NCDs in these populations of reproductive age women. In addition, we will seek funding to screen populations for congenital and acquired cardiac disease, especially following pregnancies complicated by placental disorders. It is important to determine how maternal mental health influences pregnancy and pregnancy outcomes in women in sub-Saharan Africa. In more-developed countries, it is known that maternal stress, anxiety and depression are associated with an excess risk of preterm delivery. Also, it is recognised that women who have complex pregnancies, often living with perinatal uncertainty for days or even months, have increased risks for postnatal depression and psychosis. Those who endure operative vaginal (e.g., forceps, breech) or Caesarean deliveries are at increased risk of suffering from post-traumatic stress disorder and through our work with the WHO, assessing the Maternal Morbidity Working Group tool, we have determined that African women list anxiety, depression, and intimate partner violence as their dominant morbidities. Therefore, we have complemented our initial social science and physical health foci within PRECISE by adding expertise in mental health assessment, using standardised data collection tools, some of which are embedded in the WHO Maternity Morbidity Working Group Tool, as well as a tool for post-traumatic stress disorder.